There are two types of wine collector: those who do it for personal enjoyment and those who do it for profit. They’re as different in their modus operandi as those who buy a house to live in and those who buy one to rent out. This is a highly involved business and not something you should get into lightly. Sure, there are always figures floating around that if you’d bought Chateau X ten years ago it would have tripled in value, outperforming the stock market. But there are also likely to be many more wines that barely improved or went down in value over the same period. In the limited space available here, the best advice I can give is that you treat any company offering guaranteed returns with considerable caution. If in doubt, call one of the established merchants in London, Tokyo or New York and see if they’ve heard of them. There are still plenty of scammers out there. If you want to invest independently, then you’ll need to familiarize yourself with the fine wine market of Bordeaux in particular, but also, to a lesser extent. Burgundy, Tuscany and California. You’ll also need to get in with your local fine wine merchants to ensure that you get the first releases of enprimeur. This is a long-term project, not a get-rich-quick one. Having a working wine cellar is without doubt the best way to increase your knowledge, enthusiasm and experience of the subject, and it’s not as difficult or expensive as you might think. Fifty wines, for instance, would be a reasonable starter collection, and that’s only four cases. There are two keys to having a successful cellar: firstly, that you have somewhere decent to store the stuff; and secondly, that you balance your stock. The storage point is perhaps the most important. Once you start buying better wines, they often do improve with time. 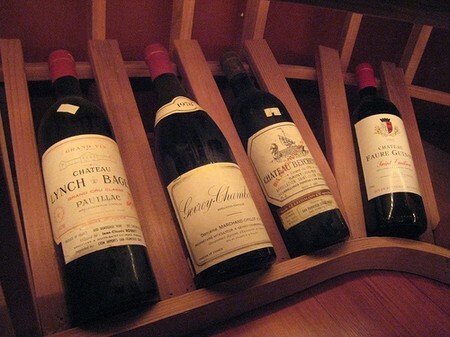 And if you’re going to have wines sitting around for a few years (or decades), they need to be in the right ambience. If you don’t have a cellar and don’t fancy excavating a small purpose-built one (not so expensive as you might think – check out the small ads at the back of wine magazines), it’s possible to buy large wine chiller cabinets, which replicate the effects of a genuine cellar and can stand in your garage. As for mixing your stock, the best cellars are practical rather than vinous trophy cabinets. They should contain wines for every occasion, whether it’s Tuesday night pasta or a golden wedding celebration, not just be stuffed full of big names to show off to your friends. You can, of course, build your collection with single bottles, but buying by the case is cheaper and gives you the chance to drink each wine at varying ages so you can find its peak — much more of an issue with good wine than everyday stuff. Buy a case a month for a year and soon you’ll have a really good collection. The best place to pick up cases is at specialist independent merchants, who will have far more interesting bottles than, say, the supermarket, and at reasonable prices. Get to know them and before long they’ll be approaching you with deals! If you fancy stocking up on older wines, auctions are a good place to look, and you can pick up al bargains. Should you ever buy really expensive wines, whether for enjoyment or as an investment, you should leave them in a purpose-built warehouse until you decide to drink or resell them. Although it’s nice to be able to look at your purchases, these are expensive products and their quality (and value) will be affected should you keep the wine in less than perfect conditions for any length of time. Why Wine Bottles Are Stored on Their Side?